Anhui Ancient Anhui Brush Industry Co. Ltd. 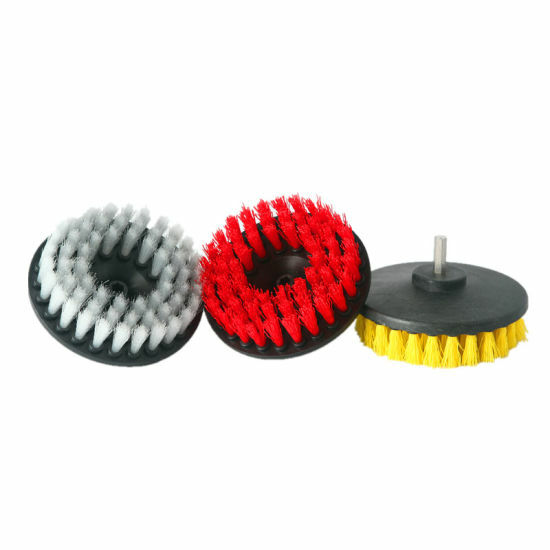 Drill Brush, Drill Brush Set, Drill Brush Kit manufacturer / supplier in China, offering 5 Inch Nylon Drill Brush/Stiff Drill Powered Scrub Brush, Industrial Small Nylon Brush for Cleaning Machine and Cleaner Roller Brush, Nylon Cylinder out Coil Brush and so on. Please complete the form below, we will email the catalog to you. You have submitted the request successfully! 1. VARIETY of APPLICATION - Works great for cleaning boat/marine hulls, tires, grout/tile, tubs/showers, siding, linoleum, Carpet, Upholstery, Leather, Glass and other gentle Scrubbing. Use this drill attachment brush kit (Included 4" soft and 2" 3" 5" medium bristle brushes) can variable speed drill for maximum cleaning control. Smaller diameter allows access to tight and hard to reach areas such as around bathroom fixtures and corners. 2. STRONG CLEANING QUALITY- high quality premium soft bristle brush lifts combined with the high speed rotation of the drill easily extracts spots from leather and fabric upholstery or carpet, medium bristles will not scratch, brush with the high speed rotation of the drill can be used on cleaning effectly tubs, sinks, baseboards, fiberglass shower enclosures, shower door tracks, and porcelain. 3. 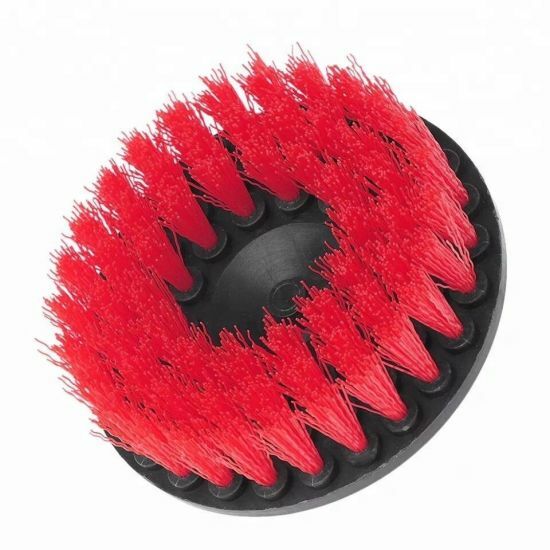 SAVE TIME: These brushes should cut your cleaning and scrubbing time in half or more compared to the rigorous effort involved in hand scrubbing. 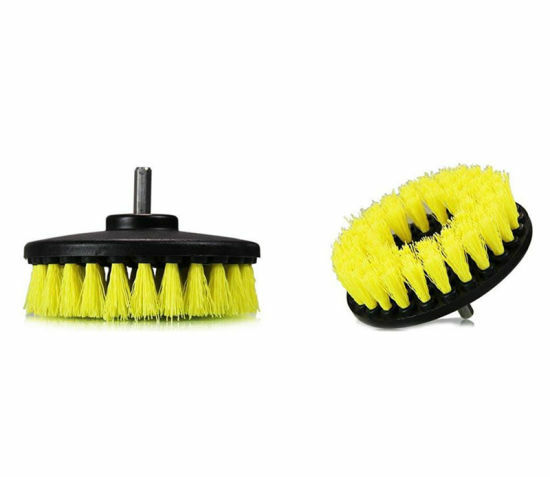 These power brushes also do a better job in maintaining your bathroom surfaces. 4. 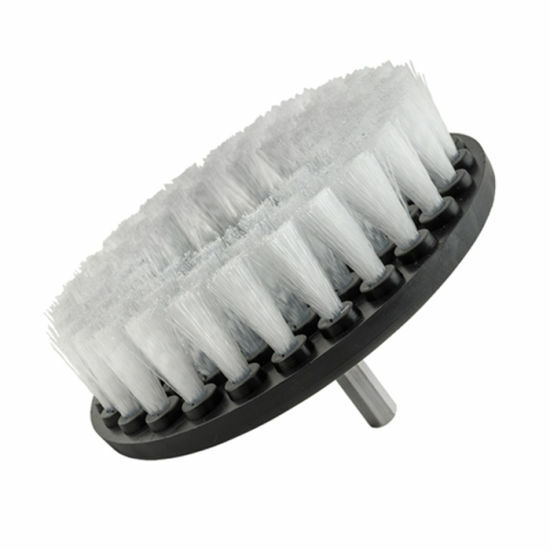 HIGH QUALITY- Bristles made from durable PP to scrub strong and last long. Features a stainless steel, quarter inch, QUICK CHANGE shaft that works with all cordless drills and impact drivers, Cordless drill NOT included Drill NOT included. Payment terms TT, Western Union, PayPal, Alibaba etc. Trade Terms FOB, CIF, CFR, EXW etc. A: Proforma invoice will be sent first after confirmation of order, enclosed our bank information. Payment by T/T, Western Union or Paypal or Escrow. A: You can get free samples for some products, you only need to pay the shipping cost or arrange a courier to us and take the samples. You can send us your product specifications and requests, we will manufacture the products according to your requests. A: Our MOQ is 300PCS. But usually we accept less quantity such as 100g on the condition that sample charge is 100% paid. Q6: Is there a discount? A: Different quantity has different discount. Q7: How to contact us? A: You can chat with us by Trademanager, MSN&Skype Online. You can choose your interested products and send inquiry to us. You can dial our telephone directly, you will get our reply. Send Email to us. Sample order in stock and 3-7 days for bulk production. 8. We have strong cooperation with DHL, TNT, UPS, FedEx, EMS. Or you also can choose your own shipping forwarder. Welcome to visit our website and hope our products will satisfy you. Our main products are industrial brush, road sweeper brush, snow sweeper brush, drill brush strip brush and many other different brushes. Just select which your need. 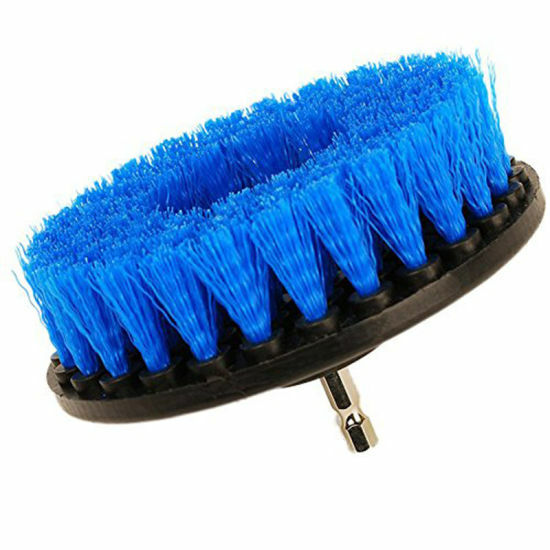 Anhui Ancient Anhui Brush Co., Ltd.